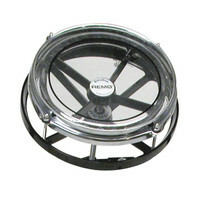 The Remo 8 Inch Rototom drum has no shell and can be rotated to change the pitch! The rapid-tuning system allows for instant tuning in a range of more than one octave. Their versatility has led to the widespread use of Rototoms in recording studios soundtracks percussion ensembles and symphonic music.